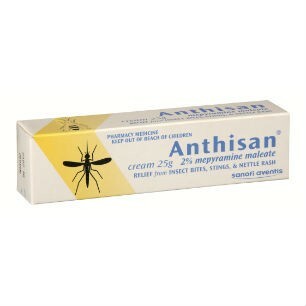 Anthisan Cream is an antihistamine cream that can be used to treat insect bites, hives, stings, unbroken chilblains, nettle rash, sunburn, and mild burns and scalds. Use all products strictly as directed and always read the label carefully, noting warnings or side effects. Incorrect use could be harmful. Medicines have benefits and some have risks. If symptoms persist or you have side effects, consult your pharmacist or doctor.